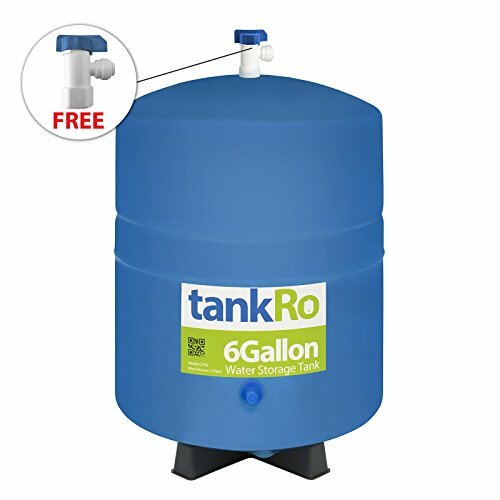 The tankRO 6 Gallon Water Storage Tank gives tasteless, odorless, and contaminant free water. Get a quality tank you can rely on today. The post cured diaphragm means sterile water distribution to keep your water safe. The water reservoir can hold up to 4.4 gallons of water at once, with the rest of the storage area being occupied by the pre pressurized air bladder, which helps you draw water from the tank. This tank comes with a free Tank Ball Valve and a free Tank Stand. If you have any questions about this product by tankRo, contact us by completing and submitting the form below. If you are looking for a specif part number, please include it with your message.